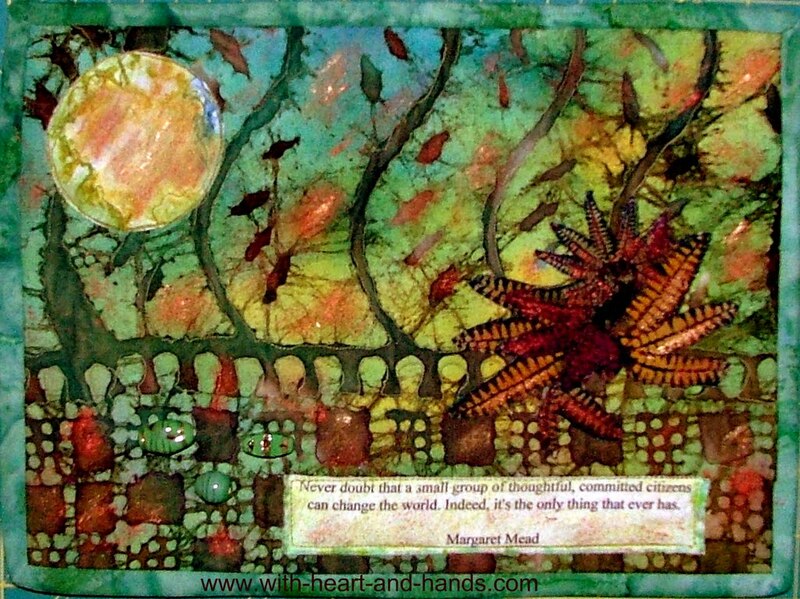 Michele Bilyeu Creates *With Heart and Hands*: 1,000 Followers: Lots of Give Aways and More! 1,000 Followers: Lots of Give Aways and More! Time for a celebration and all kinds of give-aways! I want to celebrate ALL of my followers...all 1,000 of you! Now I don't have 1,000 gifts...but I do have a lot of duplicate patterns, books, and tons of sweet things that I have made or can make! Here are some photos that were easy to find of a few of the things I can share! I will most likely select at least 10 winners and save what is left for other drawings. All of this was given to me, winnings of my own, or from the free table at my quilt guild. I work almost exclusively from 'green' items and am extremely conscious of reduce, reuse, re-purpose! That's why I am offering to give away that which is not being used! Anyway, fun is officially in session! I will be doing some random number selections using a number generator and all of the followers in my list..anonymous and otherwise...but it'll be a week or so, depending on how carried away I get with my fun of creating and discovering! Become a follower, or tell me you already are one, and leave a comment to win something wonderful from my collection or something I have created just for you! Comment please on what you like...primitive/folk art, paper piecing, whimsical, traditional, civil war/reproductions. Would you like my duplicate books...one is for children's quilts, one is a Jean Wells with fun flannels and applique's, one is Jo Morton with 12 lovely and warm traditional projects. See the closeup of all the loose patterns..lots to check out and maybe own! If you have a connecting link of any kind, I can find you and let you know if you are one of the many upcoming winners. If you are signed up as anonymous and you comment...give me a hint for separation from the other anonymi, please! If you're not one of my followers but you'd like to be..you can still join in the fun......just sign up and add your name to my list as a follower and let me know in the comments!. I want to give away lots, so it will take me a while to pile it all up and assign the goodies numbers and match-ups. And I need time to sew even more fun things! A lot of you who comment and follow here on this post WILL be hearing from me as I ask for addresses to mail things to!! Just give me a hint of what kinds of things you like..favorite kind of patterns, books, fabric...I am delighted to have enough to share and I'd much rather share than have two of something, or something that I've never used yet! The small format art quilt, shown above, cannot be part of the giveaway as it has been especially requested to be made by someone as part of a consignment fair trade project! I do hope that she is loving it as it filled to the brim with my own hands-on healing energies (touch/non touch, Therapeutic Touch, Healing Touch, Pranic Healing, Reiki Master Level 3, you name it..I've studied and worked with it since I discovered I was naturally gifted with the ability to move energy the way that acupuncture needles do ;) and lots of good, positive energy, prayers and best wishes are in all of my projects and all of my gifts and auction and sale quilts. I am on her consignment list to get something I am sure will be beyond wonderful in return! Can't wait! But I have been making some similar art goodies and those can certainly join in the give away fun! I just don't have them finished or photographed yet!!! Updates of my quilts sales/auctions etc. $145 more for the Alzheimer's Art Quilt Initiative (AAQI) and Alzheimer's Disease research..thank you so much to my two newest quilt buyers,, below !!! sold at the AAQI June Auction for a winning bid of $90! I thank the quilt...the q key just worked some wonky magic !! !...buyer so very, very much for their bid and I do so hope you can feel the energy and the love of this special small format art quilt. So thank you so very much, Bill...aka the amazing Willy Wonky Quilts. I asked for someone to up the ante on facebook and he did. Made my heart soar. Thank you so much!!! What an appropriate home for this dear little quilt of mine! Just sold for $55.00 to a very dear lady in Honolulu, Hawaiia...Margie.. who knows it's story and has a heart and kinship of being a sister to my dear friend, Pat, whose husband, Clay passed away this January and whose ties I am fortunate to use in my art quilts now! Read this dear story at the link above. Oh, that goodness can still come out of loss! Your donation will help so much towards Alzheimer's research funding. Bless you! Leave a comment and tell me what style of quilting and gifts you love to have an opportunity to be in this drawing and help me re-purpose some of this flow and overflow of abundance! Thanks to all of the winners. I let everyone pick their favorites and the rest will be on another giveaway in the future!!! You already give so much. I love how you role model for the blogging community selflessness and free sharing. I believe in that! First of all...congratulations on your P:A Quilt sale at this month's auction! Second congratulations on your one thousandth follower...WOW! I don't "follow" per se, but your blog is listed among my favorites in the sidebar of my blog. When I started blogging, 3 people a day came to my blog and I was thrilled I thought...'someone wants to read this????' I only had dial-up (still don't have cable or satellite)and it would take me up to 6 hrs to post a blog. I just kept trying and trying and what we focus on, grows! I spent a lot of time here. Oh.my. But I've learned so much about computers, and blogs, and all of the rest of it along the way. And more to the point, I found hope that with the combined commitment of others like me, we could make a difference in the quilting world and in ours lives, too! If I happen to be one of your lucky winners I would love some fabric or a civil war replica. I know my husband would just love that. He's all about old military stuff, guess that comes from being in the Army. Congrats! That is awesome and I can't think of a better blog tor each 1000. I am an art quilter and would love something little. I don't follow too many pattens, I don't like directions they get in the way. But if you get a wild hair an ATC would be awesome. Have a great day and congrats on your quilt selling on the AAQI auction. Congratulations! I have been following your blog since April and have found it to be very fun to read and really enjoy it when you give a history lesson around a holiday. I am so glad that your quilt sold so well. Being pretty new to quilting I have not really set any priorities for likes and dislikes so would be thrilled with anything I received. Thank you for being so generous, it will be fun to see who wins and what they win. Parabéns,esta é prova do seu sucesso.Eu sou seguidora e gosto muito do que vejo.Sou brasileira. I am now officially a follower although I've been keeping up with your blog for quite awhile now. I especially love that you are so active with AAQI...your comments awhile back on my AAQI posts made my day! Congratulations on your 1000+ followers. Also great work with helping to raise money for the AAQI - beautiful mini quilts. I am a follower. Oh, that blogger...playing games with both of us! It looks like three people signed up as anonymous, no icons, two without a blog..so no link up. I guess it took blogger a couple of hours to move you to 999 time sign up wise. I checked it over and over, trust me! And then the person was anonymous, no icon! But remember, lots of drawings, lot of potential winners! Your blog is darling and your last win was so wonderful!! I gave your name a hyperlink since your comment! Big hug for coming over and sorry blogger did that to you! I am a new follower and I would love any of this. Thank you so much. I love this blog! Congratulations Michelle, 1000 Followers, that is a real milestone. A testament to your good work and an interesting blog. Wow, this is so awesome! I am a follower, and would love to be entered! How wonderful, as you know I am a long time follower! I am a follower, please sign me up! Shame on me--I always read your blog, but never signed up to follow. Well, I have fixed that! Congrats on your 1000 followers. That is quite an accomplishment. Congrats on 1,000 followers. 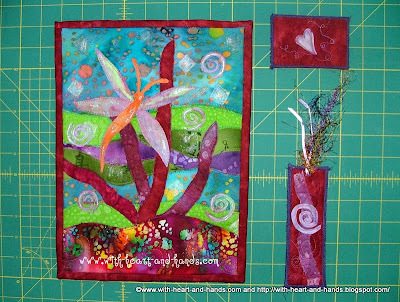 I am a follower and love making picture quilts for kids, paper piecing and cute fun stuff. Hi Michelle, I'm # 1005. I have you on my blog and now I am a follower too. Congrats on the over 1000. I am really impressed. Lovely! Please do add my name. I love your blog and am a follower. Thanks so much Michelle! I have been a follower of your great blog for a long time, so please, count me in! I have been following you in google reader, but now am an official follower too! Congrats on so many of us, wow! I love anything (not a bill) in the mail. SMILE! Congrats on 1000 followers. I'm already one of those 1000. I love quilt books & patterns and would be happy to receive any & all. Thanks for the giveaway. Congratulations on 1000 followers...of which I am proud to be one. Thanks for the chance with the giveaway. 1,000. Certainly a lot of followers, of which I am one. It is so good of you to share your stuff on this giveaway. Thanks for the chance. I have been a follower for a while now. You are one of my most treasured blogging friends- I know that I can come to your blog and read something that moves me, makes me laugh or cry or just plain smile. Your generous thoughtful spirit comes through your blog each and every day. Whatever I was lucky enough to win would be treasured- Your quilty friends will love your beautiful creations. As for the patterns, I would love the lady Liberty ( Some day I want to make one of those beauties) or the traditional book by Jo Morton or Jean Wells flannels.. Most anything you would choose would be lovely.. Thank you so much Michele for blogging and for your wonderful heart! And congratulations!! I would love anything, but something hand made by you would be treasured! Hi Michele. I have been a follower of your blog for a while now and I enjoy it very much-although I am not one to leave comments often.I enjoy reading about and seeing the quilts that you make for the Alzheimers research .Your art quilts are amazing and I know that they are appreciated and loved by the buyer plus the money that they sell for is going for a very worthy cause. So I personally want to thank you for that. Congratulations on reaching 1000 followers. I think that is awesome! And you are beening so generous in this giveaway! Thank you for the chance to win. I like anything that is old so I love traditional quilts and reproductions. I also like to do applique so it would be wonderful to win anything with patterns relating to this.But, truthfully, I would love and appreciate winning anything. Thank you again for the chance. Congratulations on 1000 followers; I can only dream of that many - I hope to reach 50 in the near future! You know I'm a follower and would have commented here without the give-away. Mostly I am in to modern quilting but I like cute as well. I enjoy appliqué and embroidery too. Congratulations on your 1000 followers. I have been following on my Google Reader for awhile. I love your work. If I win, I would appreciate anything. Thanks for all your time. Congratulations on your 1000 followers! What an impressive milestone. I love your Changing the World quilt. I saw it on the auction, and wished I had the money to bid on it. I enjoy traditional and liberated quilting, and now I am making doll clothes for my granddaughter. Joyful quilting. Congratulations on 1000 followers. What I great job you do with the Alzheimer's Initiative. I have been a followers for a while, and love all the information you have on blocks andlove looking at the Quilts. Keep up the good job. Follower for quite sometime now! thanks for the fun! Congrats for your 1000 followers!!!! !, way to go, wish you a million more to come!!!!. I have been your follower from a little while, I love everything, books, fabrics, patterns, paper piecing, I luvvvvv everything trust me!!! !, thank you for sharing, I also collect cute scissors and souvenir thimbles and I don't have anything from your places, LOL; well again congrats and it's going to be such much fun!!!!!!! Yes, I am a follower and isn't it great to see how many people pop in and out. You are very generous in your celebratory giveaway so thank you for that and I will more than thrilled to win anything. Hi Michele! I've been a follower for a long time now. I'd love to win something you've made, even something small. My favorite quilting? I love liberated "piecing", but I find myself mostly excited about the final quilting of the sandwiched top. I like to mix traditional FMQ with liberated quilting. I'm one of your anonymous followers. I have no icon and I think I must have a one of those 'don't show me' on the badge kind of things but I am one and will mail you my email and other info to check me out. I would love any of this! One of my all time favorite blogs to visit!! Oh boy, two of us in a row. I am too plus everything she said up above! Michele, I follow you anonymously also-three in a row. Now that is one for the books. I have prayed for your family with every event that needed a bit of help from above. I enjoyed a few of your tutorials and it certainly helped as I meet each new challenge in the world of quilting. Congrats on hitting 1,0000 followers. May you always be blessed with good friends. Oh, Grace! Bless your heart! That is just so very, very dear! Thank you for all of your thoughts and prayers, the challenges in my family are testing all of us, but we are holding strong! Sometimes, when a new challenge comes to pass, I think "How can this be possible? Another person in the hospital?" But somehow, we all get through it together! And prayers are such a big unifying and blessing of positive energies!! Hello, from Sitka, Alaska, and Silverton, Oregon! I have followed you for a while now and love your blog. I'm learning to quilt and have found so many good tips and ideas here. Keep up the good work! That´s great.congratulations and more to come!! Yes,I`m one ofr your 1000 followers!! You reach and touch many with your generosity and kindness. Your stream of followers is a natural flow of this energy. So pleased you've met the lovely Elizabeth. I must tell you that she is sensible'ish. Unlike us mad crazy women living either side of the Atlantic who have a thing about grammar and languages (ROTFLOL). Congratulations on this huge milestone! Ah, Michele, you are such a generous lady. I've been following you for ages...sorry I don't comment more. And congratulations on your 1000 followers, that is amazing. And deserved. I am listed as a follower under anonymous but it will say my name is Jeannie. I would love to be entered in this drawing. Thank so much for your sharing your extras with us! congrats on 1000 followers! 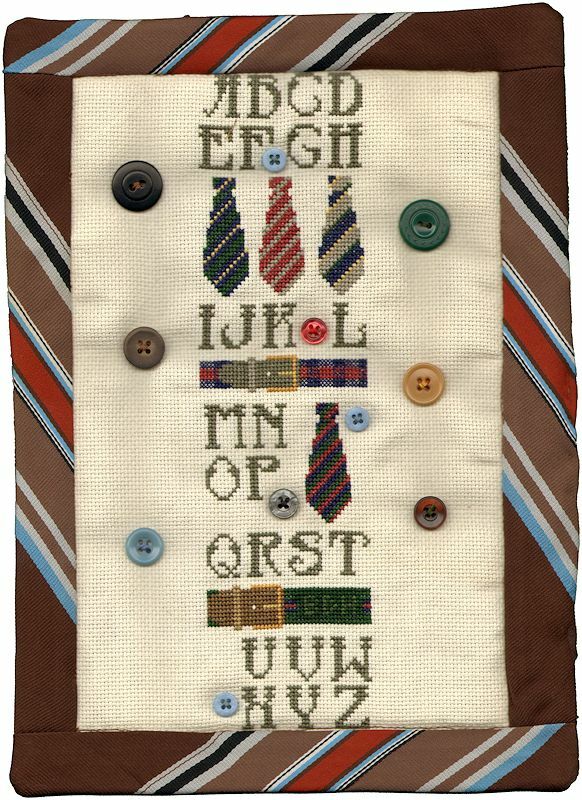 I love your little tie quilt. Isn't it the best feeling when an AAQI quilt sells? I'm amazed when someone buys one of my AAQI quilts, such generous hearts. I hope they aren't disappointed. Yours are works of art & humor. All the best! congrats on the milestone and the AAQI sales. I'm happy to be a follower since you're a regular blogger with lots of links and a fairminded approach. If you pick me, send me something that inspires me in new directions. Congratulations on the 1000 follower. There are really a lot's of people who love your work, and I'm one from their. Yes, I am a follower for a long time and I enjoy your blog very much. I'm so sorry to hear of all these difficulties at this time. You and your family are in my prayers. May everyone have a swift recovery. I am a follower and love your blog. Thank you for a wonderful giveway. I am a follower. I like traditional and paper piecing, but also using new techniques. Congratulations on 1,00 followers. Congrats on having 1000 followers. Maybe you could share with us how to build up our followers. I have a quilt and travel blog combined because that is what my life is all about but getting followers is not easy for me. Well done and keep up the good blogging.